Send blessings of success and happiness this Lunar Year, with one of our delicious gourmet gift basket. A delightful gift box of traditional goodies to kick start the festive celebrations. Perfect for sending to friends and family to the lead up to Chinese New Year. New Year Glutinour rice cake, Golden choice cookies, Kopiko Mini coffee candy, Ontrue salted flavour peanuts, preserved plums, Garden Lucky candy, Garden Fortune Cookies, City Aroma Dried flower mushroom, F H Preserved Jia Ying Zi, Preserved Dried Mango, X Y Z Biskut Bi Jan, Aik Cheong 3 in 1 white coffee tarik, Jane Jane prepared shredded Squid. 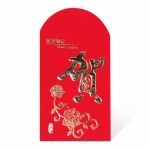 Chinese New Year Good Fortune Hamper comes with a COMPLIMENTARY gift message card. Order our Chocolate Bouquets NOW for delivery Next day to Sydney and Central Coast and overnight to the Blue Mountains, Newcastle and Wollongong areas.